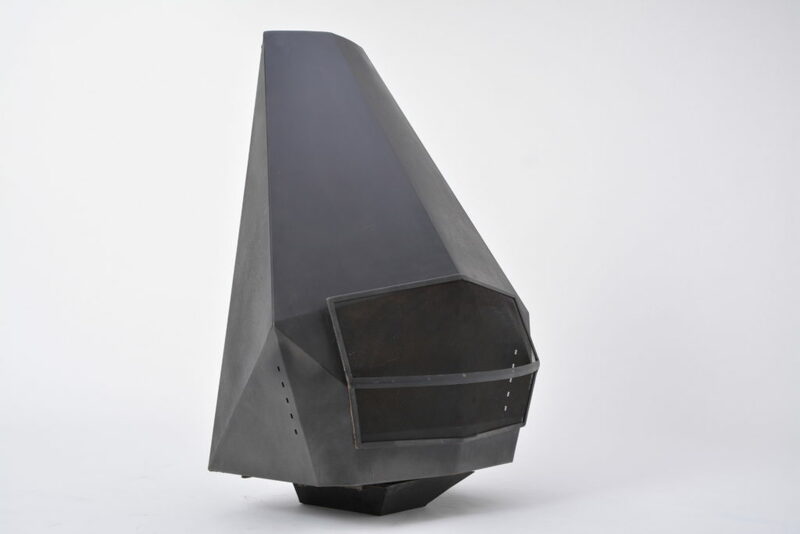 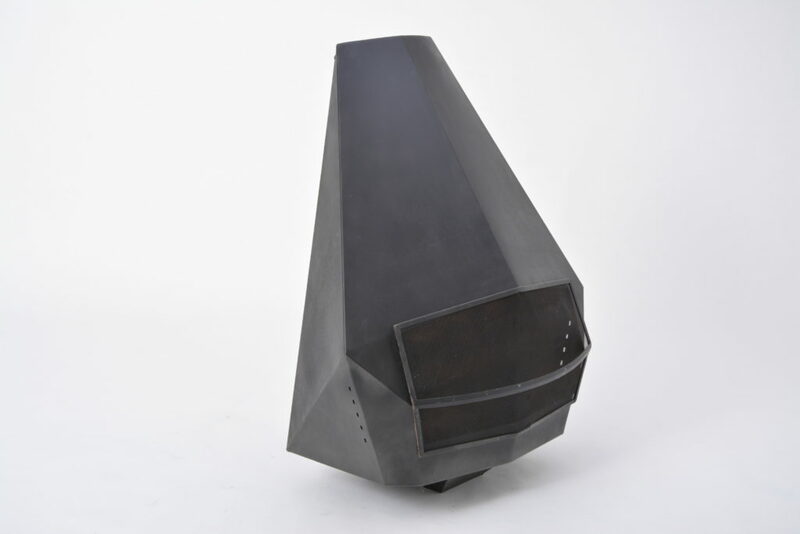 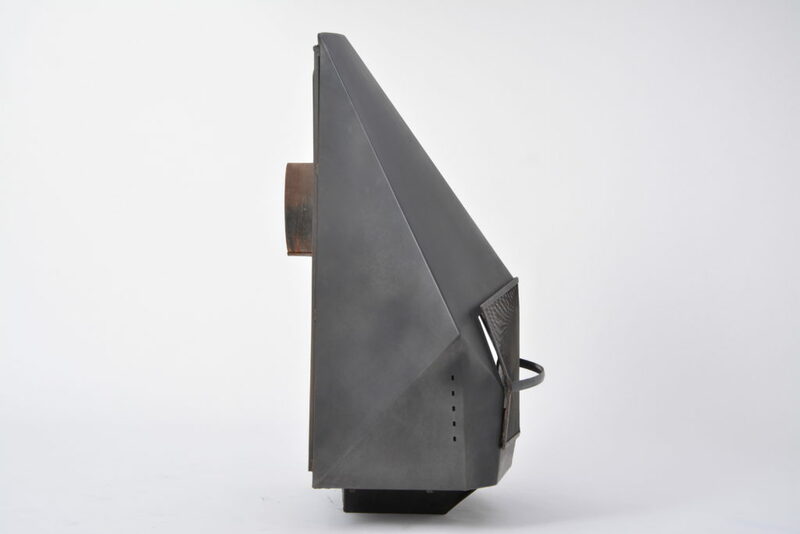 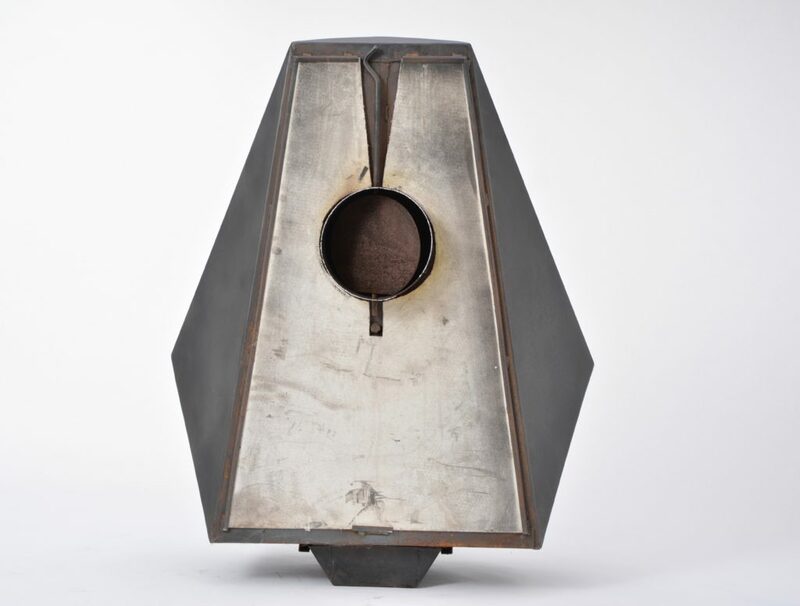 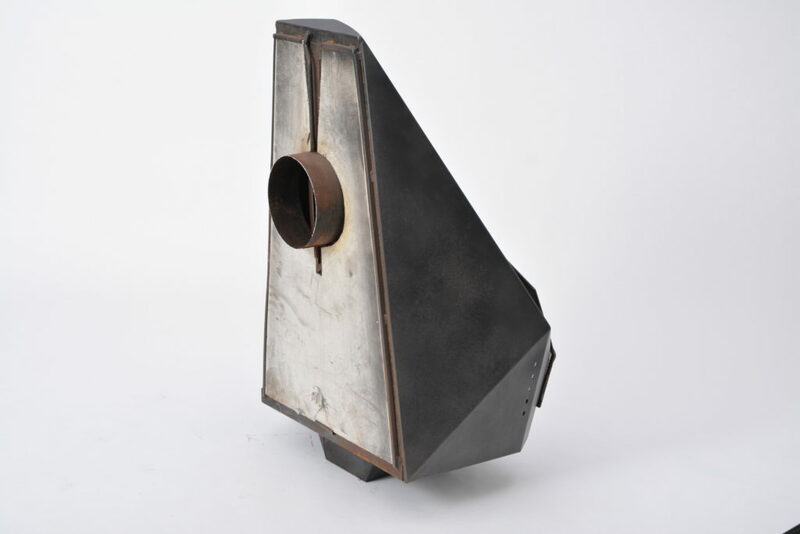 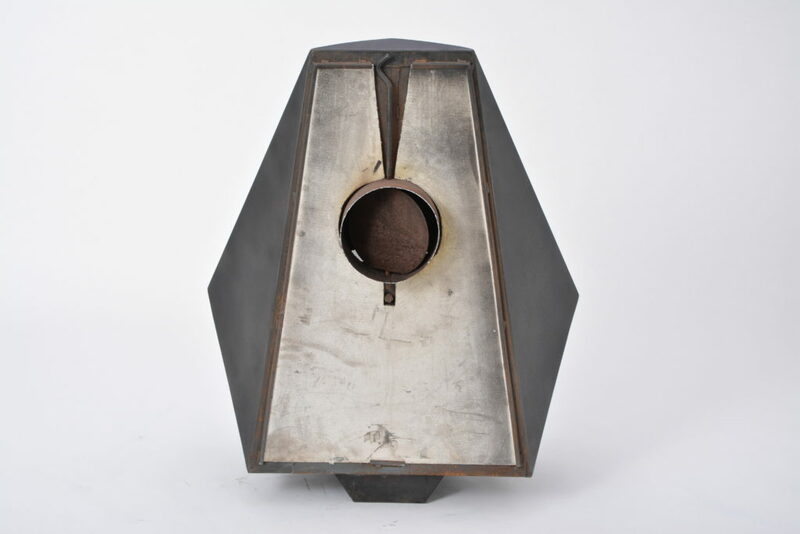 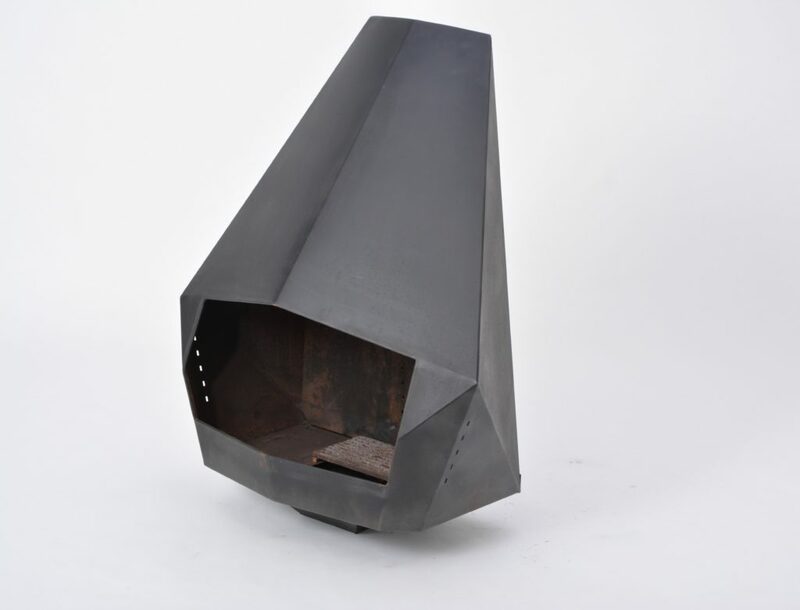 A Model 5005 Wall-mounted robust fireplace in black coated steel produced by Belgian company Don-Bar Design in the 1970s. 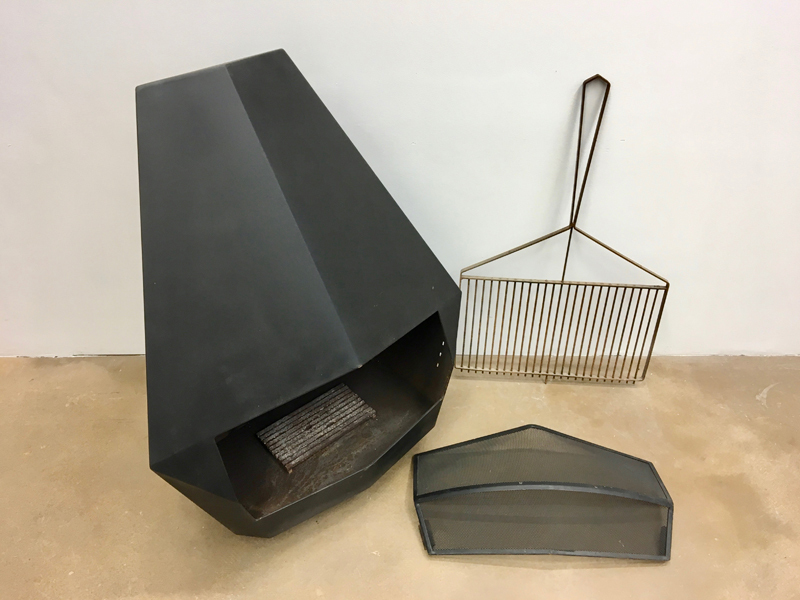 Comes with ash pan, metal suspension handles, grill, fire screen. 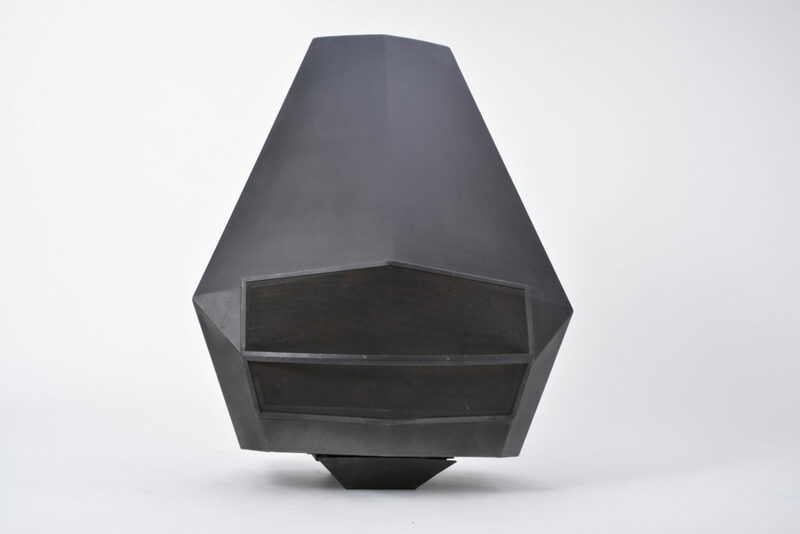 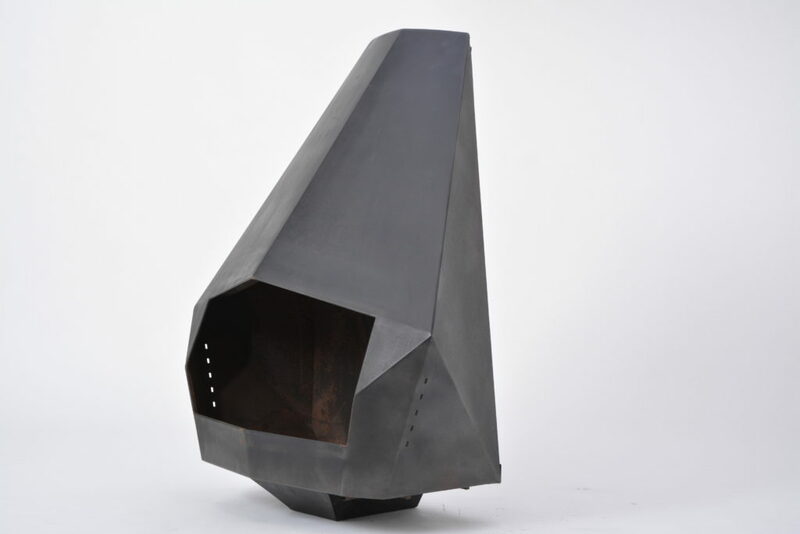 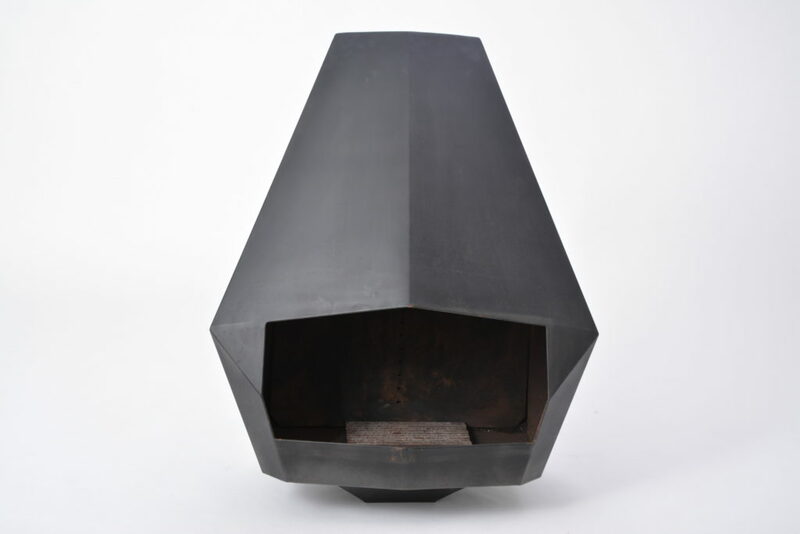 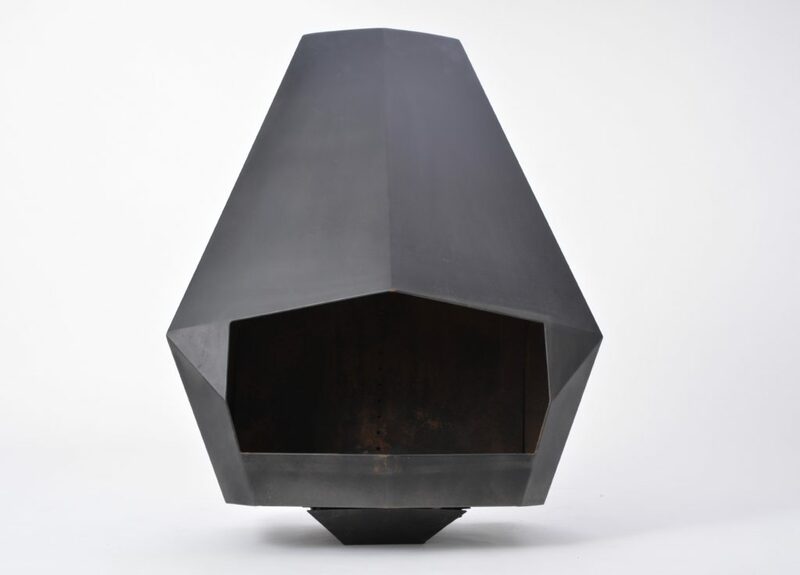 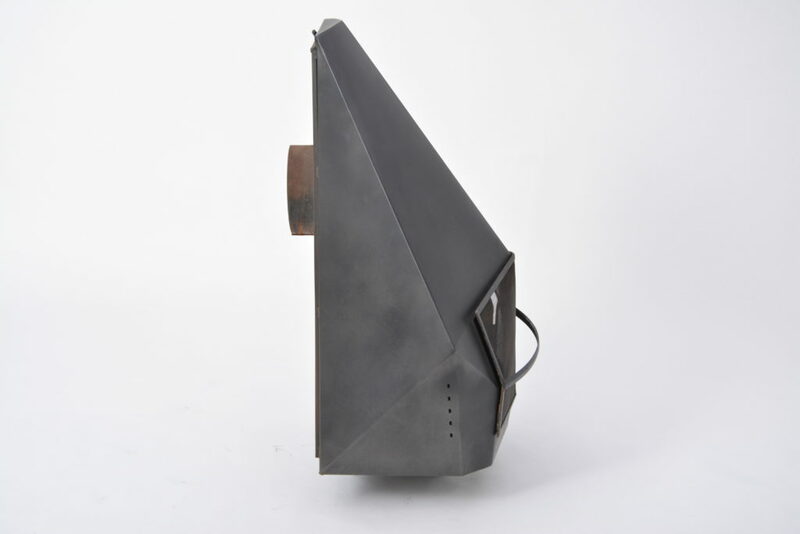 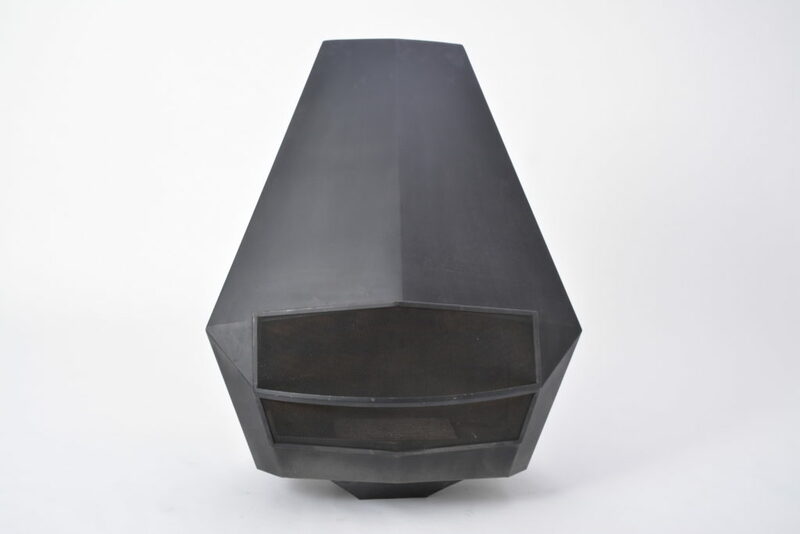 The clear, sharply edged shape of the hearth makes this piece sturdy, sculptural addition to your interior.